The first goal of a Muslim business should not be cashing in on a Muslim market. It should be pleasing Allah and establishing Halal as a way of life. Seeking profit is not a bad aim, but it should be secondary. 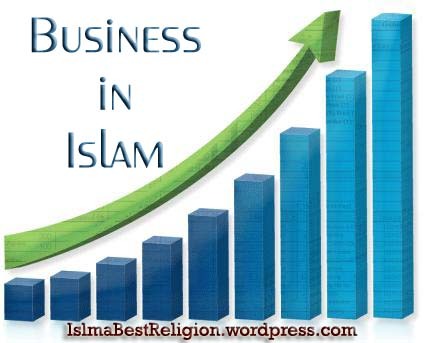 By making Allah the goal, and implementing Islamic rules of honesty, truthfulness, and good behavior with customers, Insha Allah, any Muslim business is bound to boom. The Prophet has said the the honest and truthful businessman will be in Jannah amongst the Prophets the Truthful and the martyrs. Honesty and truthfulness are essential in this business. And when it comes to Muslim businesses, it means building a relationship of trust with customers, which cannot be done with lies and deceit. While this may be a bitter pill to swallow, being ready to have your product or business scrutinized for cleanliness or the “Halalness” of products indicates a willingness to work with the consumer. This serves to build trust. For those business people who may feel hesitant or downright angry with a Muslim consumer for even asking about the acceptability of a given product in their store, remember that this is the right of the consumer. Remember, ultimately, we are all responsible to Allah. If a business is cheating Muslims, Allah will eventually expose those involved. As well, a Halal business is not just one person’s profit-making machine. It is also an institution of the Muslim community. Therefore, it must be ensured that it meets not just state and federal standards, but most importantly, the Quran and Sunnah’s standards. This is especially important for Halal grocery stores where the presence of animal blood is expected. Not being careful of this means not only lost customers, but also possible sicknesses from the germs in the blood. This cleanliness, by the way, does not just apply to those areas of a store a customer will see. It includes equipment and storage areas as well. Don’t just aim for one successful Halal grocery shop in your chosen neighborhood. Think big. Improve the inventory of your store, the types of items in it, and strive to find ways to improve service and profit margins. As well, look into the possibility of pooling resources within the Muslim community or with other shareholders to expand the business. Doing this will also reduce overhead costs and in the long run, the price of products for your consumers. Yes. This can be very difficult. Finger pointing, accusations and nasty rivalry often characterize Muslim businesses aiming to market the same products. But this is not the way a Muslim economy should work. Brotherhood in the Ummah cannot be forgotten. Consider forming an association of Muslim meat retailers or distributors that can sit down together share experience, and learn to cooperate. This cooperation could, in the long run, benefit the Muslim consumer, and in turn the Muslim businesses themselves. One example of where cooperation can take place in the Halal meat industry is by having all grocers or butchers slaughtering the animals in one place, Instead of doing it the way it’s been done since the beginning: every individual or couple of retailers slaughtering their own animals. By slaughtering in one place, costs are reduced, and in turn, the Muslim consumer pays less for the same product. While there are more “Muslim” businesses sprouting up, not everything they sell is Islamic. It is not difficult to find Muslim owned businesses selling pork, alcohol, pornographic magazines, and renting these kinds of movies on the one hand, while selling Halal meat on the other. Of a less offensive nature, perhaps, are those businesses which sell Halal products but rent or sell cultural (especially Indo-Pakistani) movies. While these movies may seem harmless in comparison to those of the pornographic variety, what must be remembered is that when Muslim parents and elders indulge in watching such cultural films, their children can very easily find an excuse to watch their own “cultural” films (i.e. American-Hollywood). This requires efforts on the part of Muslim business owners to wipe out the Haram and ensure the Halal in their businesses. A telling anecdote about Haram business practices was provided by Imam Siraj Wahhaj of Brooklyn, New York during a Khutbah. He recounted the case of a Muslim who owned a shop that sold newspapers and magazines-including pornographic magazines. The Imam tried to convince the Muslim brother to stop selling these publications. At one point he agreed, and removed them from his shelves. But after a while, Imam Wahhaj noticed they were back on the shelves. When he asked the brother about their reappearance, he said he was losing money. Shortly after that, the entire store was destroyed in a fire. what a nice post. I like your blog, keep posts coming. MashaAllah that was really beneficial. Keep up the good work brother.